The term “mint condition” doesn’t refer to the aromatic plants that we know. The word“mint” is the act of forming a shape by stamping metal. “Mint condition” is the phrase that is used to describe certain things that are in perfect condition and is often applied to things that are old and might be showing some signs of usage. Mint sets are complete coin collecting sets of coins that are not uncirculated which is produced by each mint in a particular year. You can make the best investments with the limited mintage sets that have a unique coin in them. The Silver Eagle 3-Coin Set (2006) This set has a mintage of 250,000 sets. This contains one each of the 3 different Silver Eagles struck in 2006. This is an ideal set for any Silver Eagle collector. The 3-coin 2008 Bald Eagle Set This set includes the three bald eagle coins (gold, clad, and silver) which can also be purchased individually. With the 3-coin 2008 bald eagle set, like most U.S. Mint sets, you pay a premium price for the fancy packaging. Where can you find Mint Coin Sets? Mint coin sets can be acquired by ordering them from U.S Mint or they can be easily found and purchased in coin dealers. How to make sure a coin is in mint condition? 1. Estimate the coin’s grade. ● Get a good magnifying glass. ● Have a book that provides coin grades and pictures. ● Learn coin grade techniques from a pro. ● Practice with a sample coin. ● Use large quantities of coins. ● Hold the coin(s) between your fingers in good lighting. 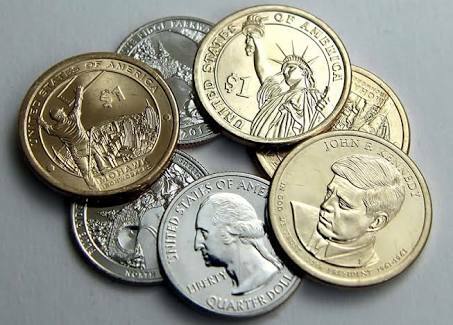 ● Compare your coins to photographs of coins at different grading levels. ● Decide which grade most accurately represents your coin. Mint condition is a term that should not be used lightly. This should be reserved for only the best quality in brand new condition. We are sure that by taking some steps above, you will be able to further your understanding of “Mint” and can apply it to your coin grading repeteur.